Before you know it you can finally have Internet access in that impossible back room or basement. In addition, if you run Connectify away from home with these settings, any devices that need to be bound to a specific network (such as Eye-Fi cards or wireless printers) will work flawlessly with no additional configuration no matter where you are! So forget trying to mess around on the command line with ICS, Virtual Wi-Fi, or Hosted Network, just install Connectify and have a real hotspot up and running in seconds. 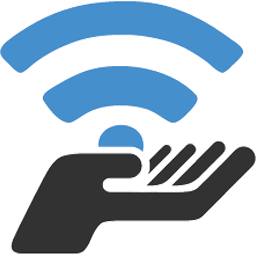 Re-broadcast the Wi-Fi network you’re on, as your own secure Connectify Hotspot using your laptop’s Wi-Fi card. Know who and what devices are connected to your Connectify Hotspot at all times. Set Internet and local network (LAN) access permissions for each connected device. Click Start Hotspot, thats it! Other Wi-Fi devices such as laptops and smartphones will be able to see and connect to your hotspot just like any other access point. By popular demand: we’ve added even more emojis to the list and a better emoji keyboard. The ad sites list will now automatically update itself, making sure you won’t see any ads in your browsers or in your apps on the client devices. On the host machine you will also be able to see how many ad trackers have been blocked for your clients. We care about your online security, so our brand new Privacy Monitor warns if your IP and location are exposed. Just in case: we also have a solution for that – Speedify VPN.